These necklaces measure 17 inches long including the clasp with a 1 inch extender chain for a total length of 18 inches. The lobster claw clasp and extender chain are made of a silver plated base metal alloy. The cord is made of leather and ribbon. These bracelets feature a magnetic hook clasp and smooth snake chain. These bracelets are perfect for large hole European style beads. These bracelets are made of a base metal alloy mix. These bracelets feature 5 styles of toggle clasps and smooth snake chain. These bracelets are perfect for large hole European style beads. These bracelets are made of a base metal alloy mix. These beads measure 8mm in diameter. These nuggets measure from 32mm long by 22mm wide to 18mm long by 15mm wide. There is 1 strand in a package. These nuggets are made of resin/acrylic and plated with antique copper. This listing features an assortment of glass foil cross pendants. The pendants measure 60mm long by 40mm wide by 8mm thick. The hole measures 5mm in diameter. These pendants are made of glass. There are 4 pendants in a package. This De-stash lot features a mixed bag of round clay beads. This De-stash lot features a mixed bag of vintage and new fire polish, faceted and smooth Czech and Chinese glass beads. This De-stash lot features a mixed bag of Chinese lampwork foil murano glass beads. The beads in this lot range in size from 14mm long by 8mm wide to 4mm in diameter. The hole size varies from .5mm to 2mm. This listing features an assortment of glass and silver plated metal large hole European style beads. The silver plated beads are made of a base metal alloy mix. 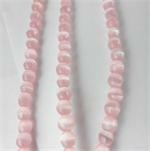 Beads sizes vary from 6x9mm to 10x14mm. Sizes and colors vary per package. This De-stash lot features hues of topaz, green and gold. The round beads are 11/0, 8/0 and 6/0 seed beads. The hex cut bugles measure 2x1.5mm and the smooth bugles measure 6x2mm. This De-stash lot features hues of aqua, green, orange and clear. The round beads are 6/0 seed beads and the hex cut bugles measure 6x2mm. The 6/0s and bugles are Chinese. This De-stash lot features hues of pink, red and green. The round beads are 6/0 seed beads and the hex cut bugles measure 2x1.5mm. The 6/0s and bugles are Chinese. This De-stash lot features hues of green, purple and red. The cubes measure 4mm and the round beads are 6/0 seed beads. The hex cut bugles measure 2x1.5mm and the smooth bugles measure 6x2mm. This De-stash lot features hues of pink, purple and green. The cubes measure 4mm and the round beads are 6/0 seed beads. The hex cut bugles measure 2x1.5mm. This De-stash lot features hues of pink, purple, blue and green. The cubes measure 4mm and the round beads are 6/0 seed beads. The hex cut bugles measure 2x1.5mm and the smooth bugles measure 6x2mm. This listing features 3 metal finishes in this oval and circle chain. This chain measures 9mm long by 5mm wide by 1mm thick. You pick color from the variations listed. This chain is thick and bendable. This chain is made of a plated Iron. This De-stash lot features hues of pink, green and orange. The round beads are 6/0 seed beads and the hex cut bugles measure 2x1.5mm. The 6/0s and bugles are Chinese. This De-stash lot features hues of pink, purple and red. The round beads are 6/0 and 11/0 seed beads and the hex cut bugles measure 2x1.5mm. The 6/0s, 11/0s and bugles are Chinese. This De-stash lot features hues of pink and red. The round beads are 6/0 seed beads and the hex cut bugles measure 2x1.5mm. The 6/0s and bugles are Chinese. These key chains feature a large ring and smooth mesh chain. These key chains are perfect for large hole European style beads. These key chains are made of a base metal alloy mix. The key chains measure 4 1/4 inches long by 1 1/4 inches wide. This listing features Solid Brass Square Wire. 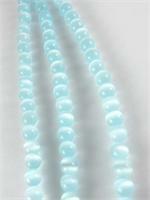 These hollow beads measure from 32mm long by 19mm wide to 25mm long by 12mm wide.